Take a look at what I found! 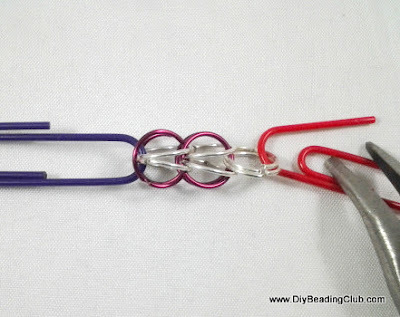 A chain maille heart created with Full Persian chain maille jewelry making technique! This awesome chain maille heart is created by Charon, owner of Stygian Chains. The chain maille technique used to create the heart is called Full Persian 6-in-1 or commonly called Full Persian. Looking closely at the heart chain maille, you’ll see a continuous “V” shape. You can use 2 colors of jump rings to highlight the pattern of the “V” shape.The Full Persian Chain Maille is fit for beginners as you can quickly create a necklace or bracelet by just repeating the same pattern. 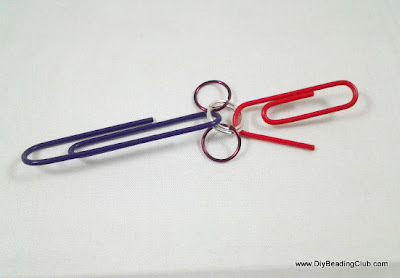 Attach 2 jump rings onto a paper clip. The paper clip will help you to hold and keep the jump rings in place as you weave. 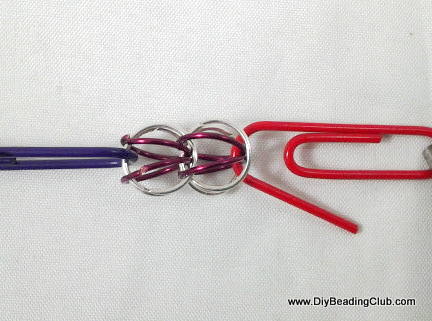 Attach 2 jump rings shown in red. Use a paper clip, pull the white rings and spread separately or let the red rings fall onto the sides. Let go of the white rings. Spread the white rings separately and pull the red rings. You’ll see the white rings as a “V” shape. 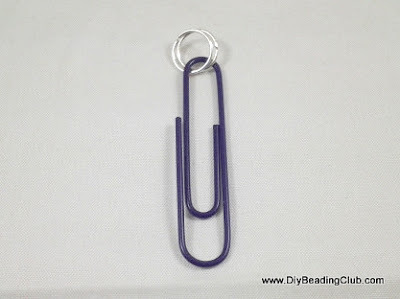 Attach a white ring onto the red rings. Still using a paper clip pull the new white rings. Attach a red ring onto the “V” shaped white rings and then go under the new white rings. 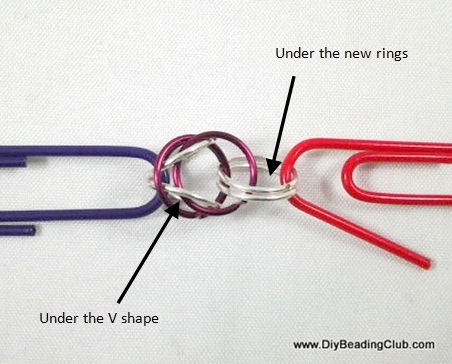 Technically, you are inserting a new jump ring under the V shape and new white rings. 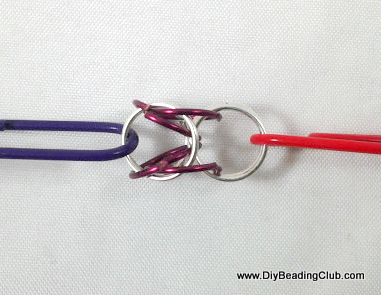 Flip your chain maille and do the same for the other side. Spread separately the new white rings and pull the inner red rings. 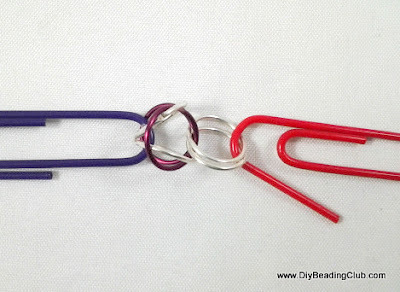 Then attach white rings onto the red rings. 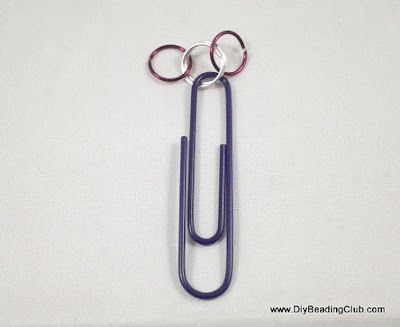 Go back to Step 1, starting with your first 2 white rings again and keep repeating the same pattern. This is the basic Full Persian 6-in-1 Weave. Look back at the heart chain maille and you’ll see that there are 2 sides of the heart where the Full Persian 6-in-1 chain maille is used. To create the middle part or the curve of the heart you need to split your Full Persian weave. This is an important technique to learn because this can help you make use of your Full Persian Weave to create different designs. Visit this LINK for the Splitting a Full Persian 6-in-1 Weave. 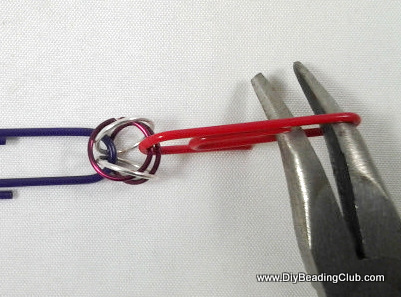 Now you can add a chain maille heart creation to your beaded hearts and wire hearts for Valentine’s Day! Ciao! Looking forward to you letters.